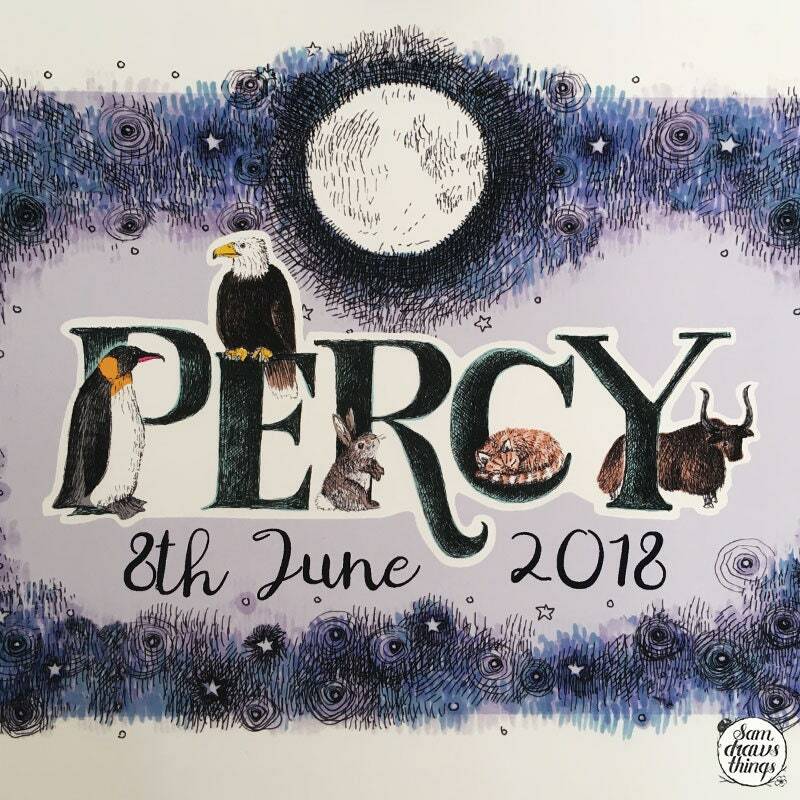 Welcome a new arrival or celebrate a special birthday with a personalised artwork of their name and birth date. 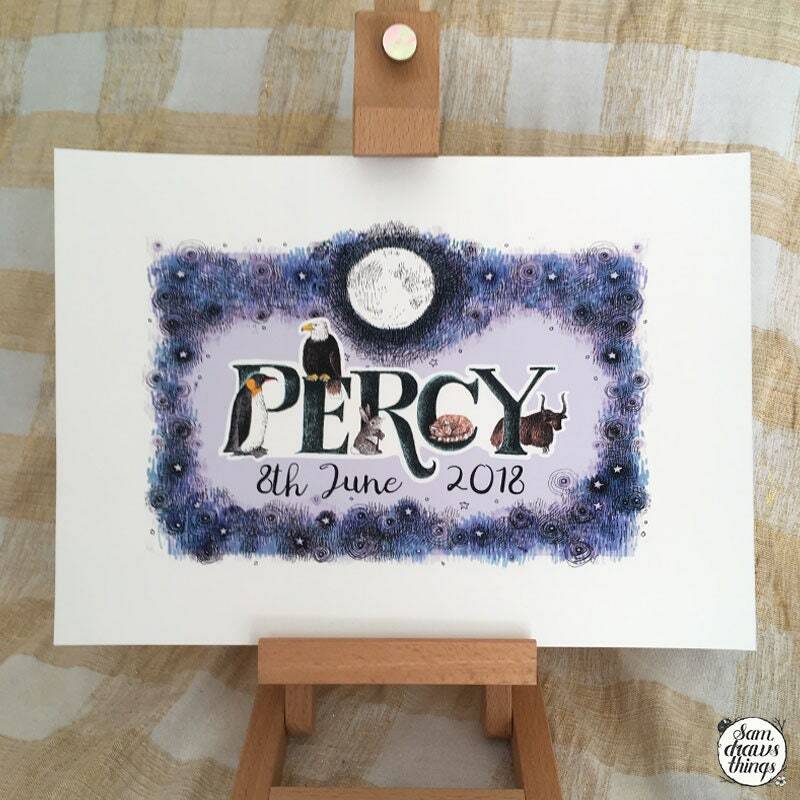 Each of these is created to order, so let me know the special little person's name and date of birth and I will create something just for them. 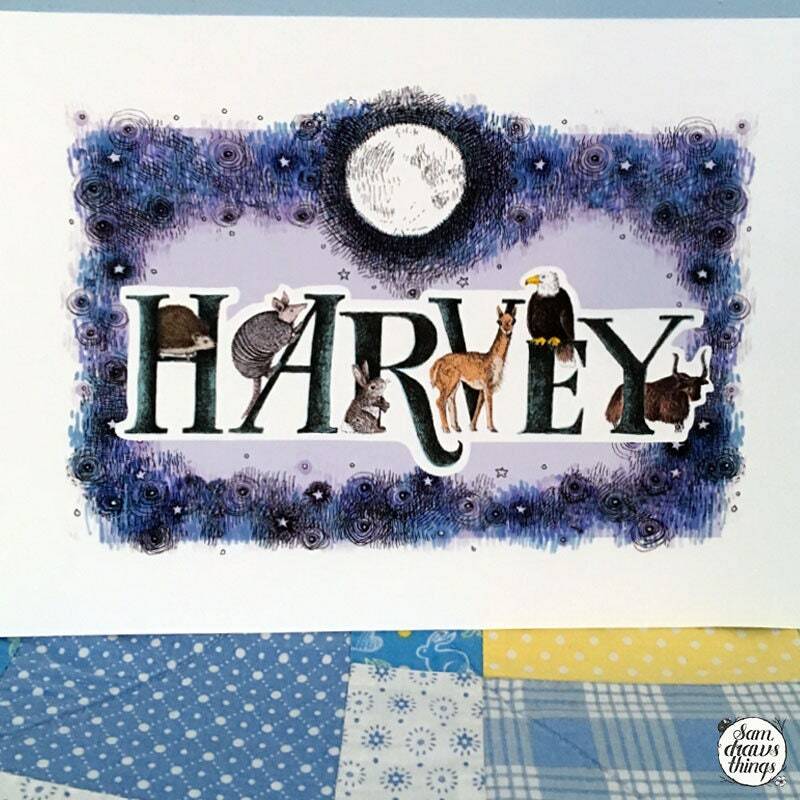 Every letter has an animal perching, standing or hiding on it, and the name is framed by a full moon and sparkly stars. 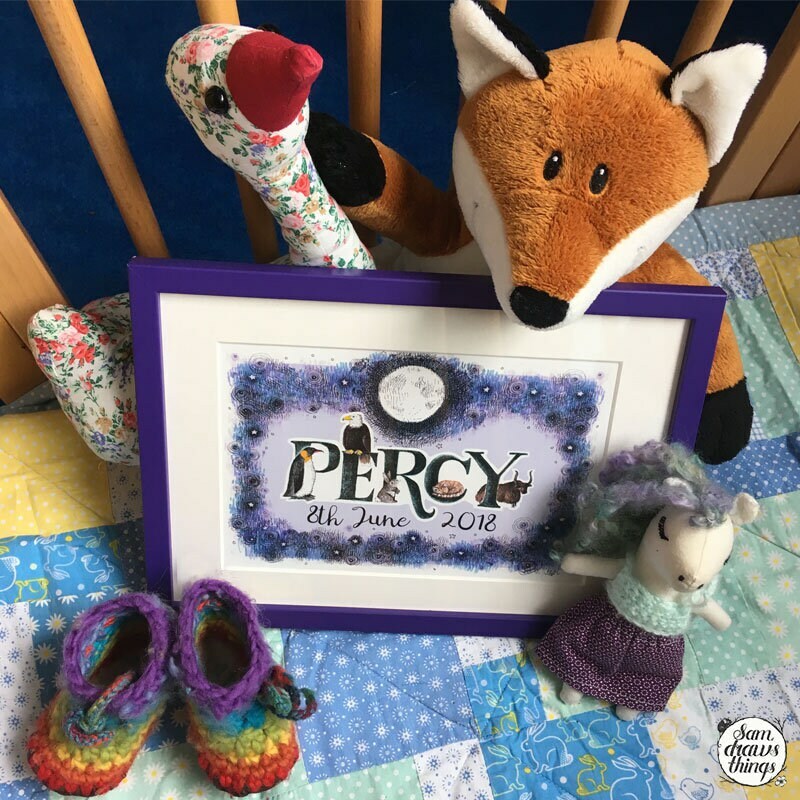 The thing I really love about this as a new baby gift is its longevity - really small babies are the biggest fans of my work! They are almost hypnotised by black and white and high contrast images, so at first the letters and moon will just be shapes to gaze at as they drink their milk or have a nappy change. As they grow, they will start to notice and recognise the animals, and then the letters as they learn how to spell their name. 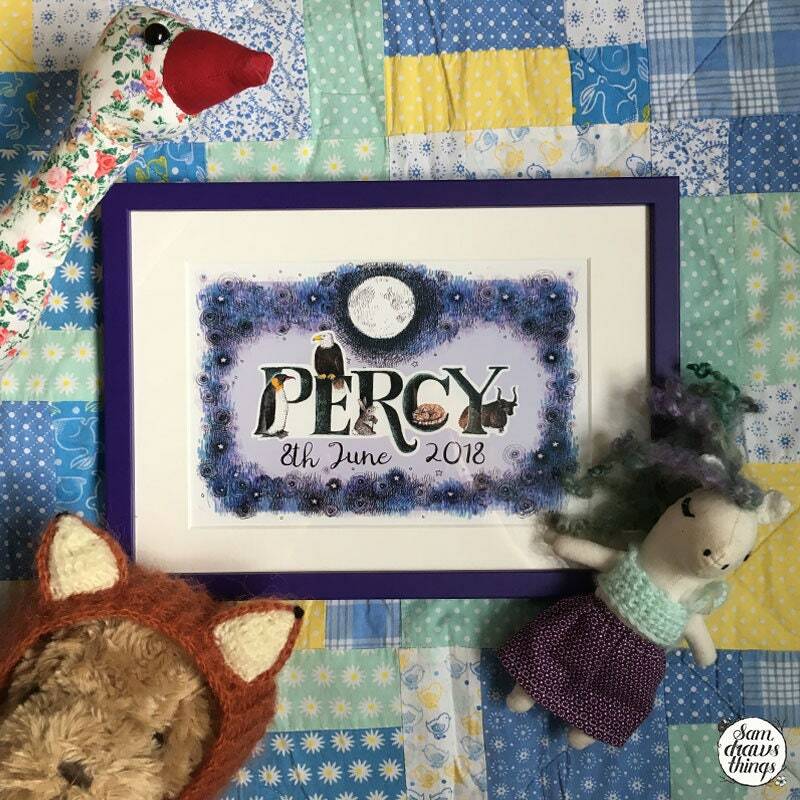 My first one of these was commissioned by my lovely friend Katie for Percy, a little boy she helped (by complete accident!) 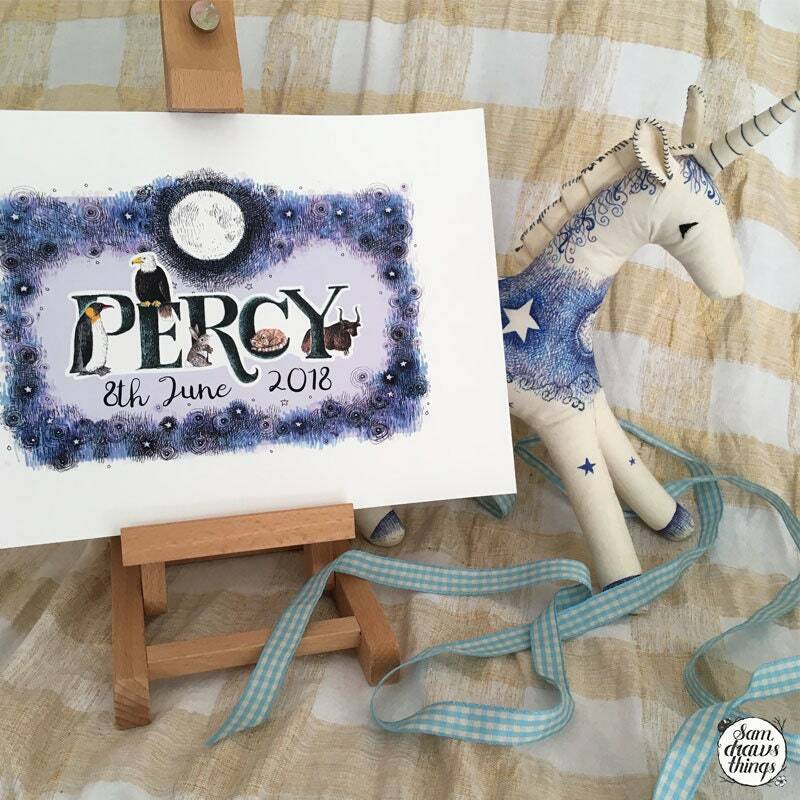 to deliver :) Also shown are a second birthday prints for twins Harvey and a Henry. - Unframed. Wrapped in biodegradable cellophane and backed on card, ready to be framed up. This is a good option if you're not sure about the nursery colours or your posting it onto someone. The frame is carefully presented ready to be given as a pretty gift. - Framed. 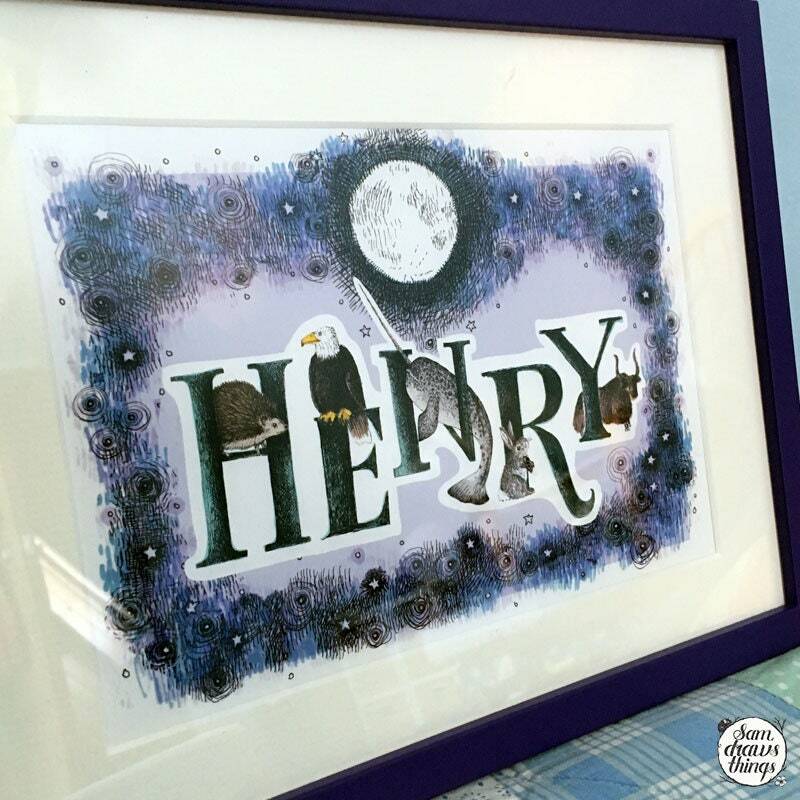 Mounted and presented in a matching dark purple frame, handmade in the UK. These frames are really lovely and compliment the print perfectly. You can leave the name and birth day in a message when you place your order, or I'll be in touch shortly after you order to get all the details from you. I can post to you, or straight to the person you are giving it to as a gift, just let me know. You can also add gift wrapping to make it extra special!